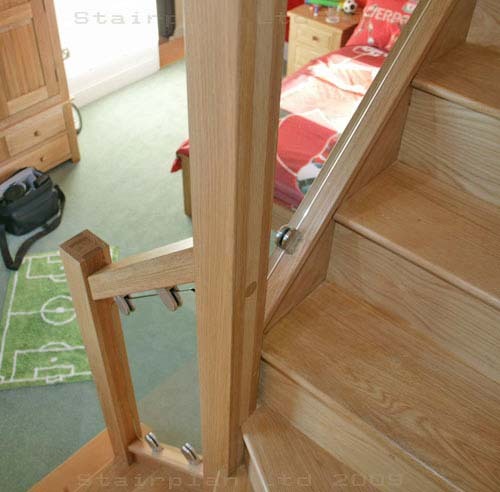 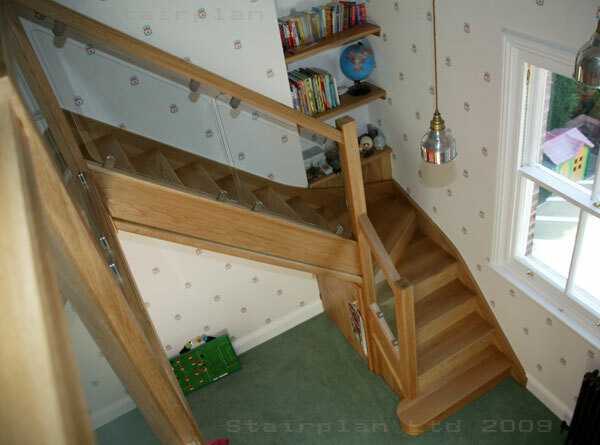 New Staircase or Transform your Existing Staircase ? 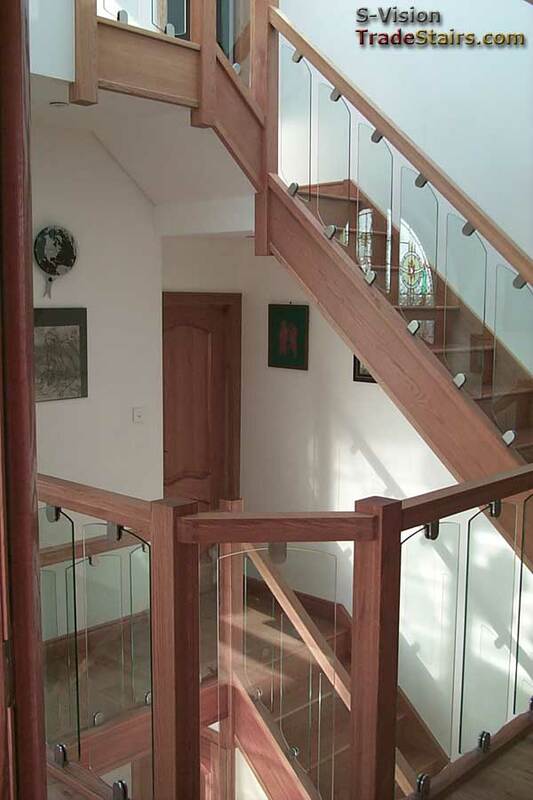 Stairplan produce a large number of staircase designs that incorporate our Vision Glass Banister panels we can also supply you with the compoents for you to transform the look of your existing staircase - Glass Balustrade Staircase Renovations are very popular at the moment but this is quite often more expensive than replacing your staircase completely. 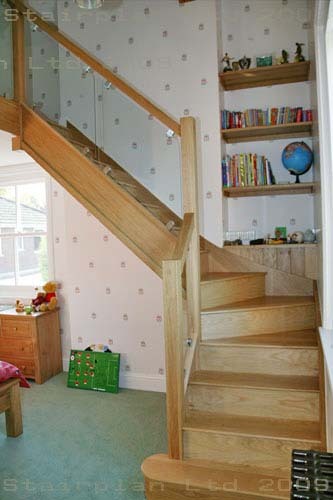 A Measuring Service is also available. 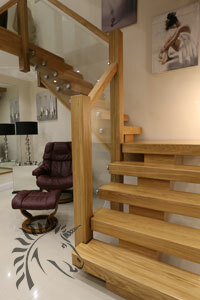 Email - your photo's and guide sizes for a quotation. 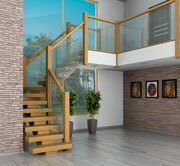 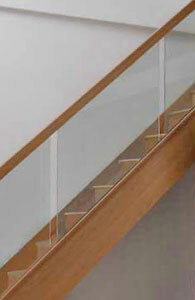 One of our contemporary balustrades we offer is this the Vision glass Balustrading option. 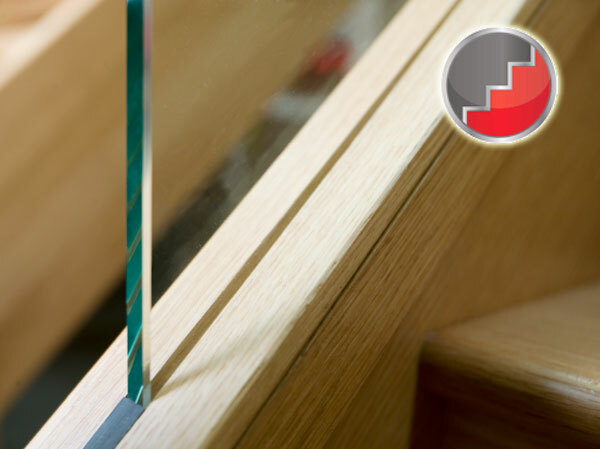 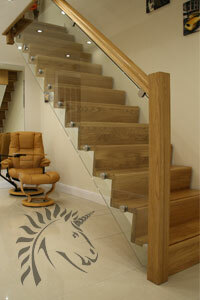 The Glass Staircase panels are cut to specific dimensions to suit the individual staircase. 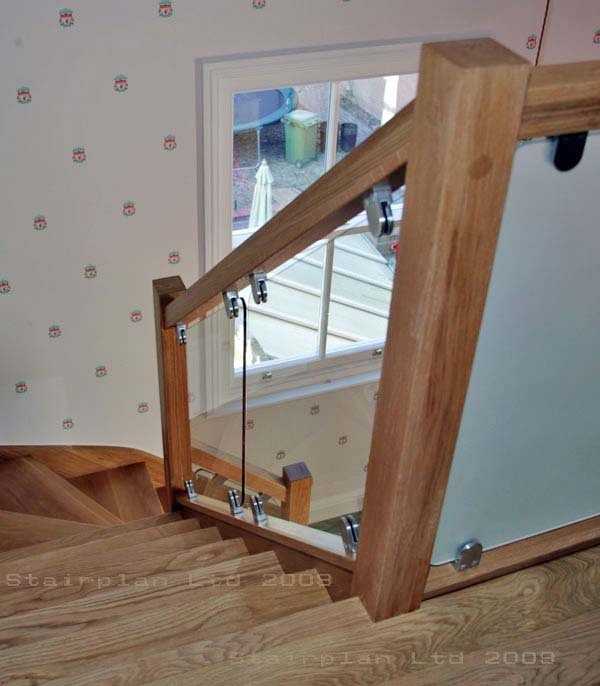 These Oak SQ Handrails are available to order online look at our alternative S-vision Glass system. 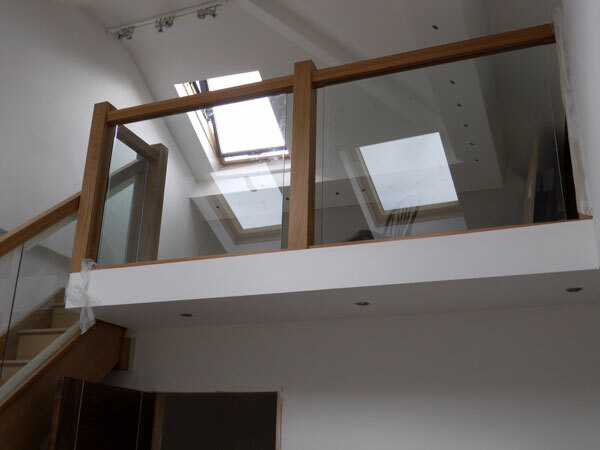 The Vision Glass Balustrade option gives you a superior balustrading option to the Popular Fusion Acrylic and Axxys Clarity systems. 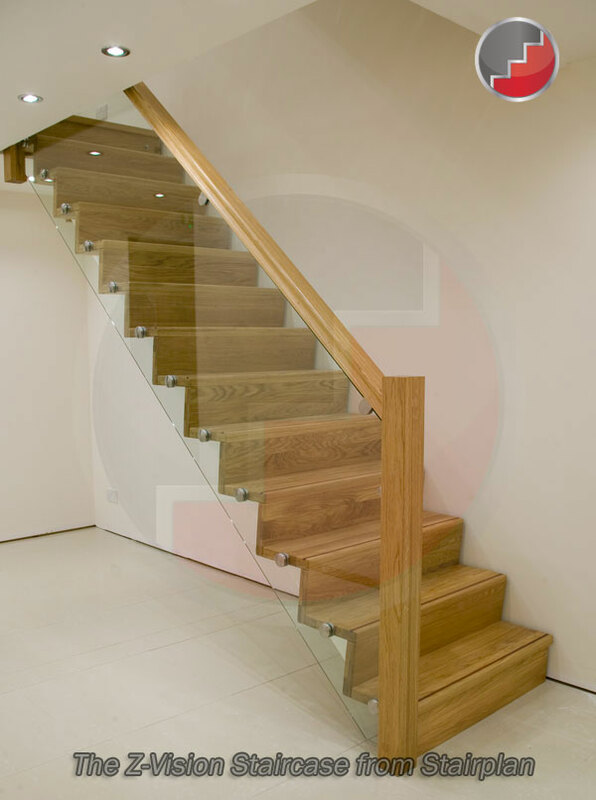 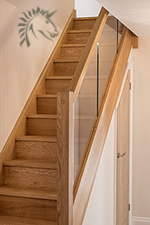 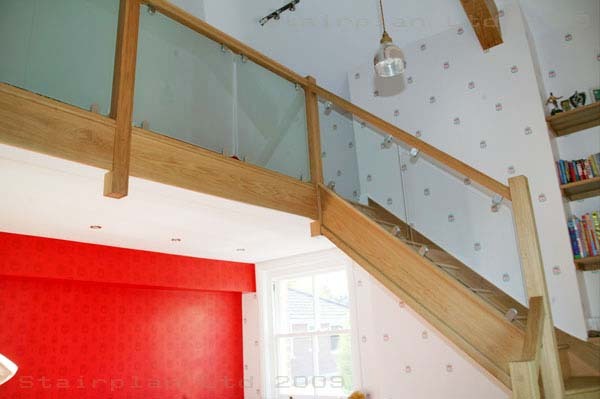 This Staircase is a oak closed string, closed riser staircase, this style of glass balustrading is also very popular on oak openplan staircases. 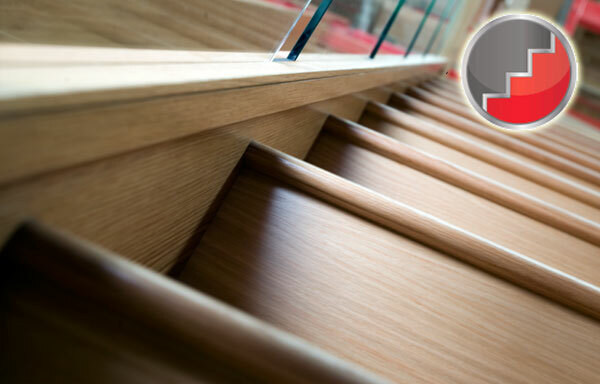 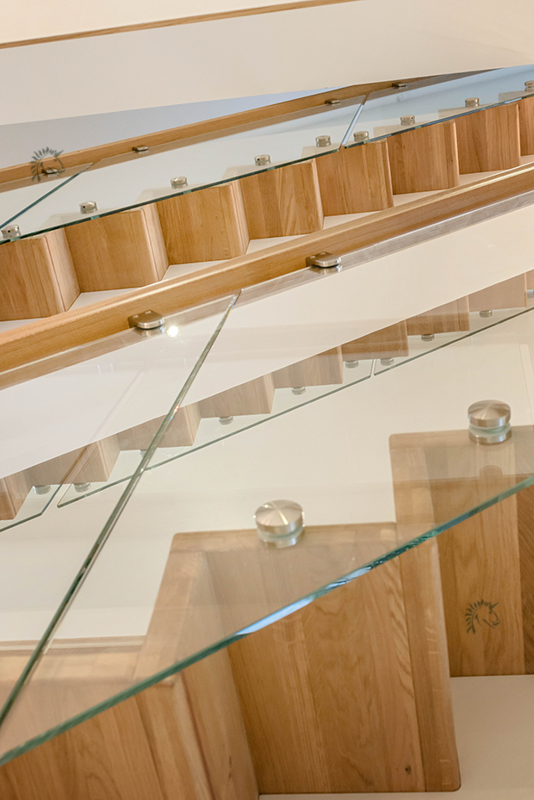 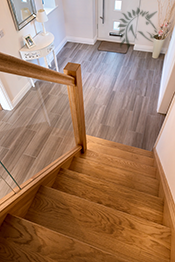 Contemporary Square profiled oak handrail, baserail and newel post sections..
You can order Toughened Glass Panels online through our online glass planner. 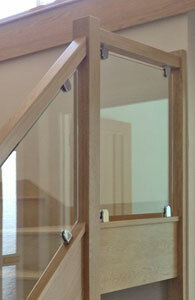 Glass Landing Balustrade complete with Oak stair well linings. 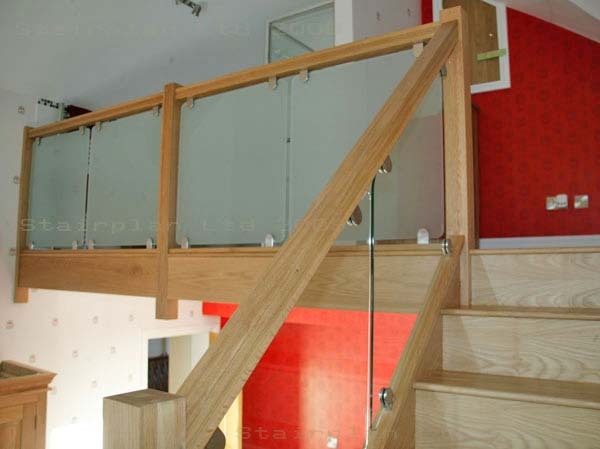 Oak SQ-HR Handrail and Oak SQ-BR Baserails grooved to take the Glass. 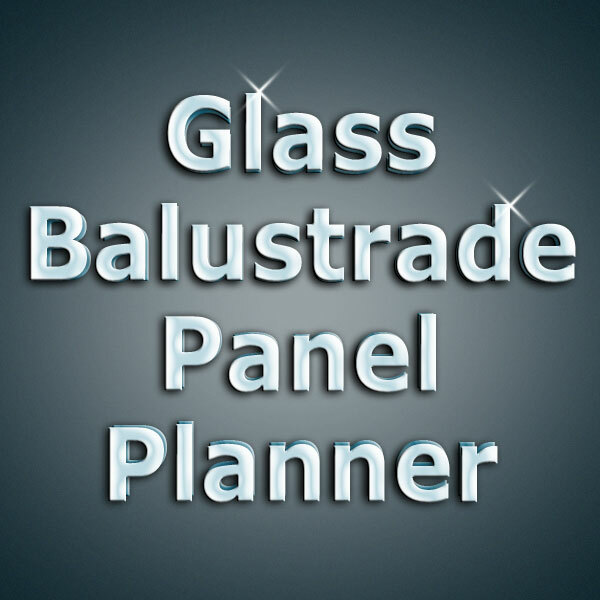 We have developed a online tool to enable you to order Toughened glass balustrade panels online this is ready to use contact us for information on our online glass ordering tool on 01952 608853. 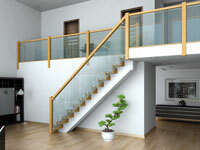 You will need to use a compatable web browser Mozila's Firefox is the preffered Browser. 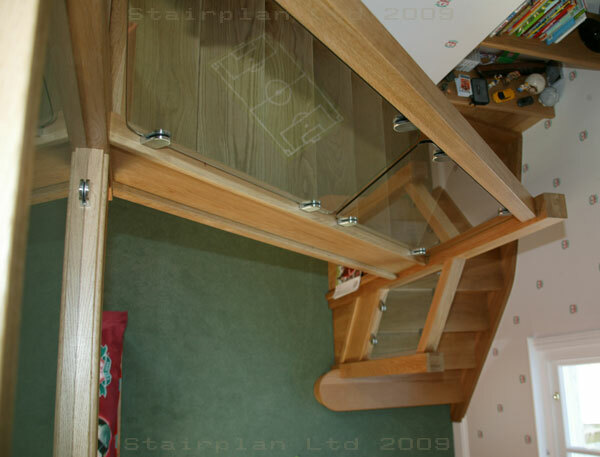 Below you can see an screen shot showing the online glass planner - enter your glass appeture dimensions , example - Length up the rake of the staircase of 3600mm between the newel posts. 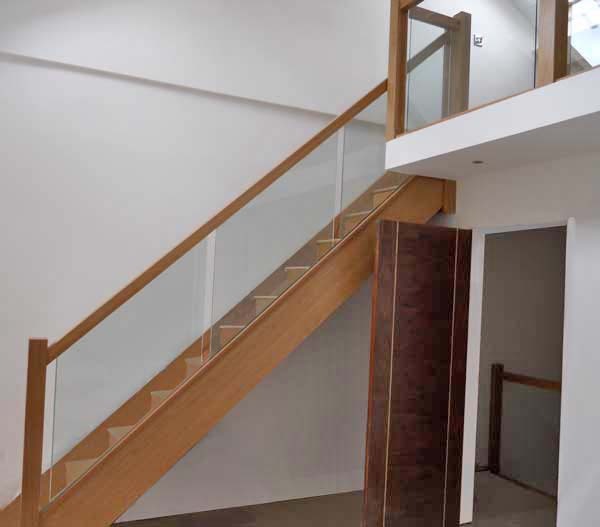 Vertical Height between the handrail and baserail 800mm, The Parallel height between the handrail and baserail is calculated tangentialy (595mm) The Angle is the pitch of your staircase 42º, corner radius is 5mm. 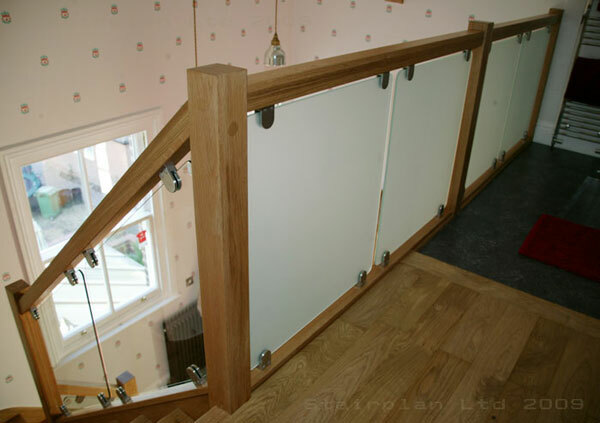 10mm Thick toughened glass panels each with 4 Stainless steel Glass Brackets . 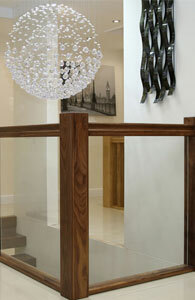 Orders can be placed online or you can opt for some of our other service options including measuring and installation. 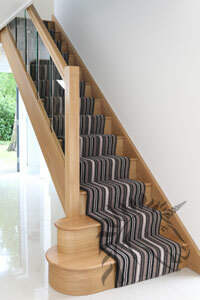 Take a look at the X-Vision staircase - This staircase has got the X Factor if you need a staircase to make a statement. 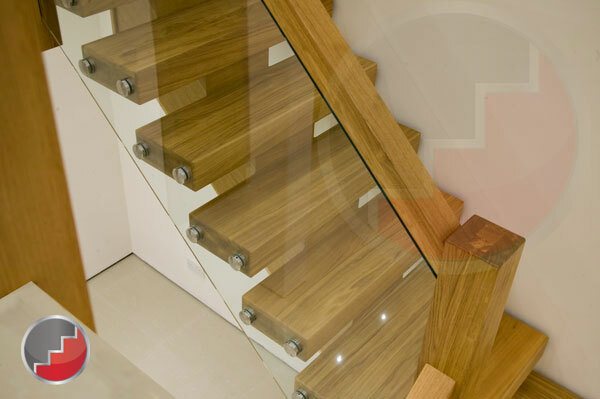 The Z-Vision Staircase design makes a statement with its minimal design. 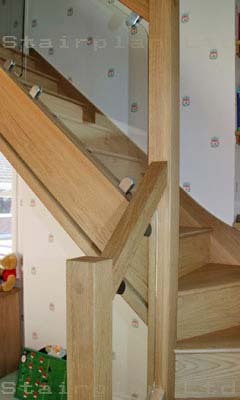 This staircase offers unique contemporary design with exeptional value.